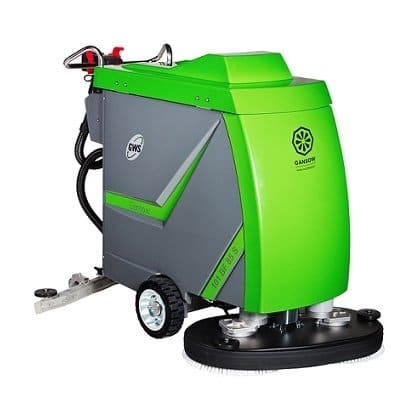 The Gansow 101 floor scrubber dryer cleans up to 2,000m2 on one tank of water due the the GWS (Gansow Water Management System), cleaning twice the area on one tank compared with a conventional scrubber dryer. 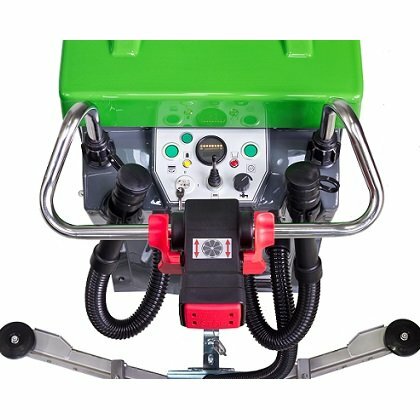 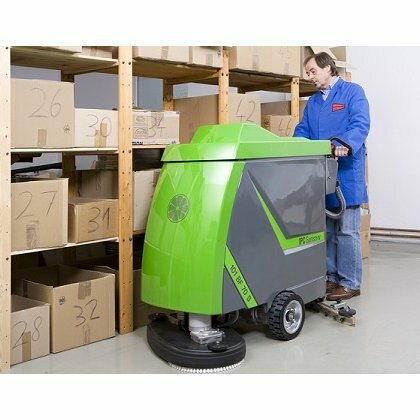 The scrubber dryer system works by continuously adjusting the rpm of the water pump with the speed of the brushes, so when the scrubber dryer is going around a corner (slower) the machine will release less water. 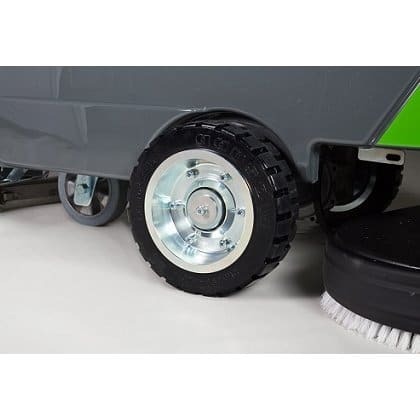 The patented water guide ring® ensures the constant dispensation of cleaning solution to the scrubber dryer brushes. 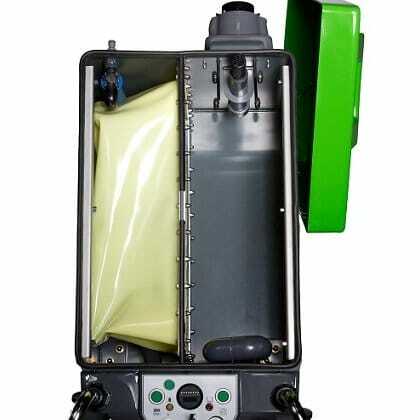 When the brushes rotate the cleaning solution is dispensed by three holes within the brush plate into the bristles of the brushes, the brushes have very narrow bristles at the outer brim ensuring that the water is kept within the scrubbing brushes. 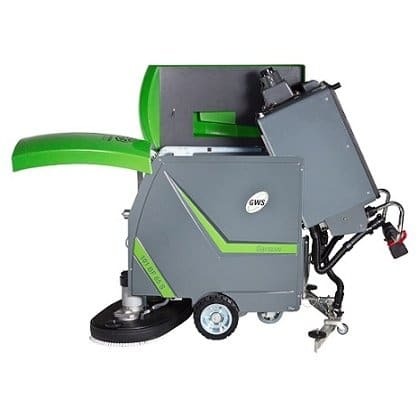 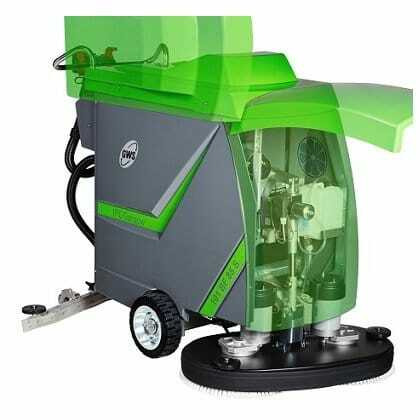 This scrubber dryer system means that the Gansow range of cleaning machines gives you double the cleaning area compared with a conventional scrubber dyer. 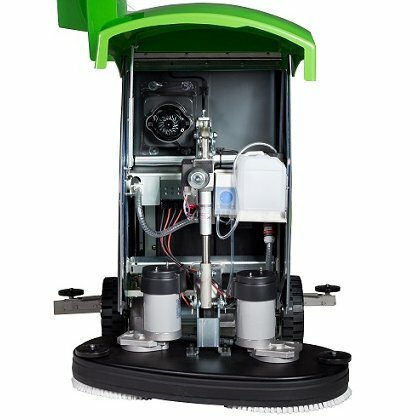 This not only helps saves you with the cost of water but also means that you will not be filling up the machine as often, saving you time.